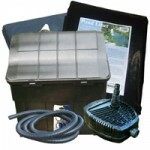 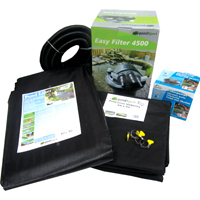 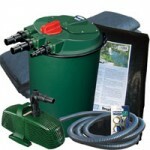 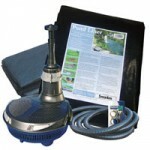 NEW for 2014 this pond kit contains everything you need to create a small garden pond appox 6 feet x 5 feet. 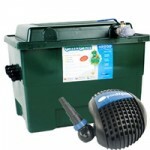 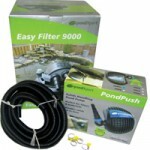 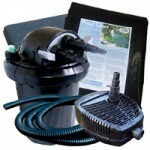 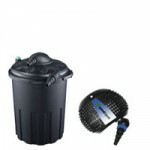 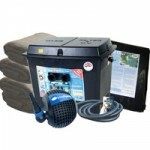 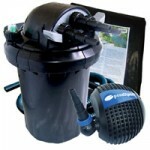 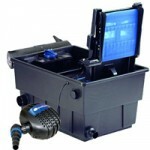 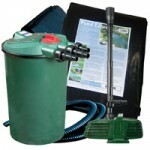 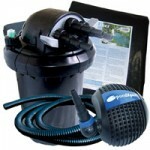 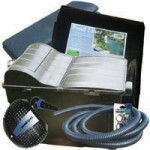 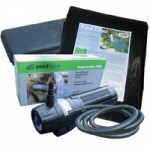 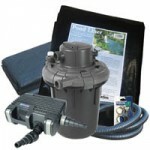 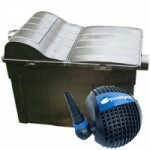 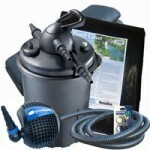 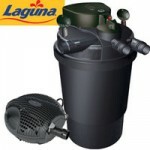 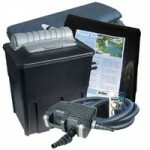 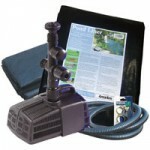 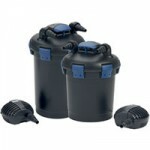 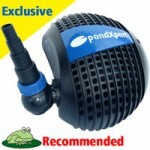 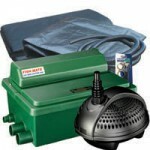 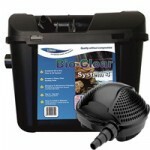 We have used our experience and buying power to bring to you a pond kit for under120! 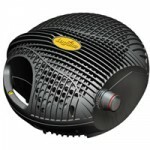 Despite the attaractive price quality has not been compromised. 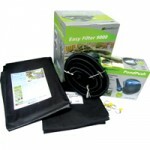 You will receive genuine branded quality kit components. 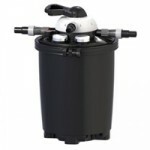 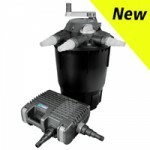 The filtration system is powered by the Oase Pontec Pondomax 1500 pond pump that can handle solid particles up to 4mm in size. 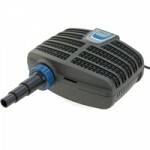 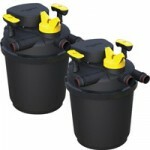 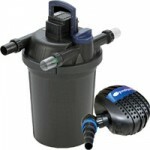 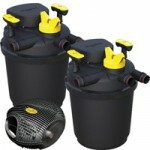 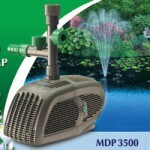 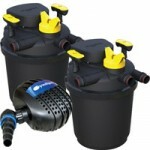 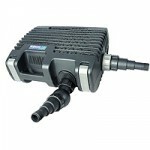 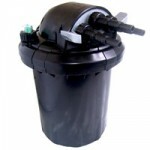 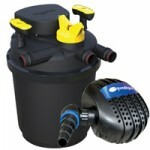 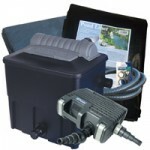 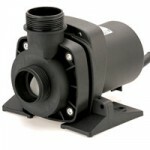 This means that the pump can push through dirty water 24/7 without clogging and with little maintenance. 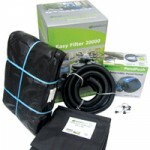 The dirty water is pushed into the PondXpert easyFilter 4500. 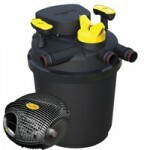 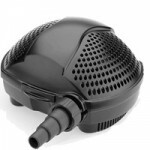 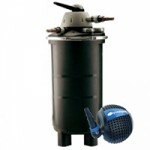 This is a pressurised pond filter meaning that the water enters the filter under pressure from the pump then leaves under pressure – the benefits being that the filter can be positioned below the top of your waterfall (if you are thinking of running one) or even buried up to it’s lid. 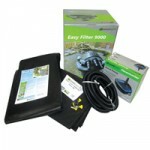 This means the filter can be hiodden in the garden landscape. 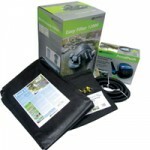 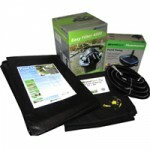 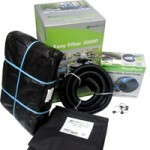 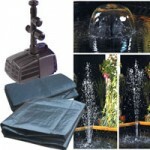 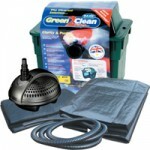 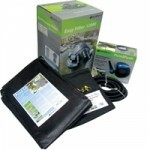 To line the pond itself we provide a 4x3m LDPE pond liner with 40yr guarantee and underlay to protect it from puncture.